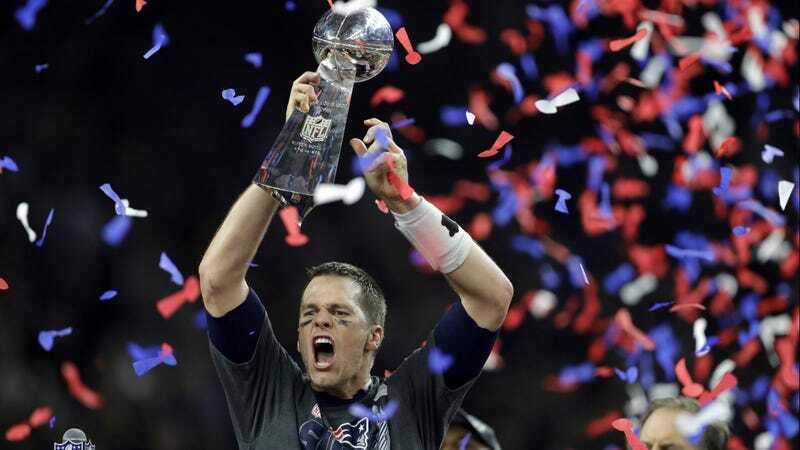 The ring, which has 265 diamonds compared to the 283 that Tom Brady’s actual ring has and is about 10 percent smaller, has the same engraving that Brady’s ring would have. The ring comes with a letter of appraisal from its maker, Jostens, for Brady that assesses its jewelry value at $29,700. Ken Goldin, president of Goldin Auctions, which sold the ring, would not say who consigned the ring or how it was obtained. Goldin also said the buyer prefers to remain anonymous. I’ve gotta say, I had no idea there were lesser versions of Super Bowl rings being distributed to the friends and families of champions. I’m a little irked that someone in Tom Brady’s inner circle is raking in a fortune for consigning a trophy they didn’t earn or purchase, and in fact only got because someone they know is good at something. And, of course, that is a goddamn ton of money for a piece of sports memorabilia. Here’s an interesting note, from the report: the only piece of memorabilia to sell for more than this family ring in the past 25 years was a Mike Piazza uniform worn in the first Mets game after September 11, which reportedly sold for $365,000. Tom Brady has three sisters, a mom and a dad, and a wife. I am having a hard time believing the ring belongs to any of his children, who are very young. I suppose he could’ve also given a Super Bowl ring with the name “Brady” stamped on it to a friend? At any rate, one of these ingrates turned around and sold their ring for the price of a dang house.